IMAGINE training pilots without flight simulators..
Clicking a tool in SkyTOP DemosCAD INSTANTLY demonstrates how the tool functions in Autodesk AutoCAD. 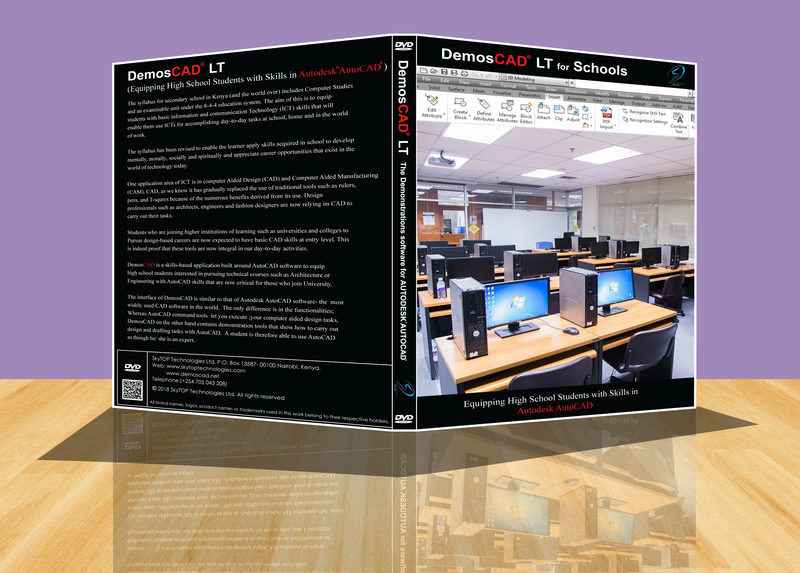 By using SkyTOP DemosCAD you INSTANTLY become productive with AutoCAD without the need for training. With DemosCAD, you're able to design and have a glimpse of how real projects would look like before the projects are done. 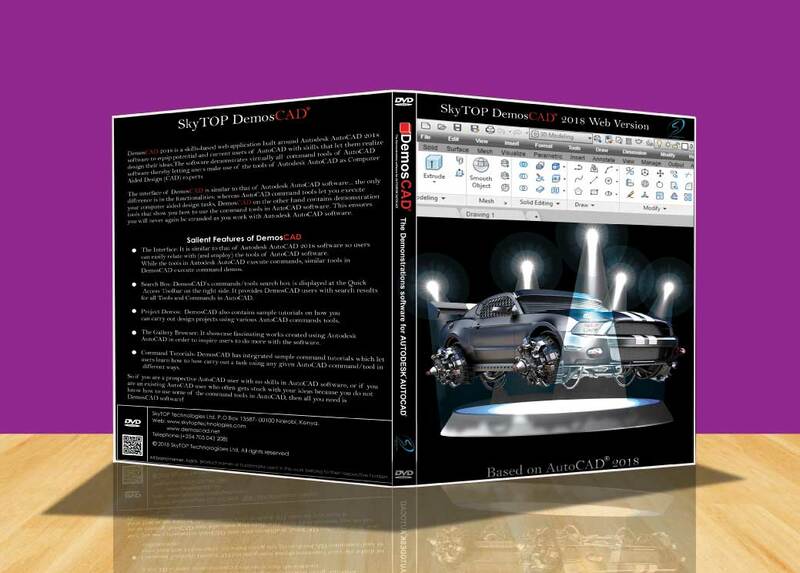 By using SkyTOP DemosCAD you INSTANTLY become productive with AutoCAD without the need for training. Whether you are a high school student, or college student, or even a design professional, you can now work with AutoCAD like an EXPERT! Our solutions seek to enhance the adoption and use of Computer Aided Design (CAD) and Building Information Modeling (BIM) software programs by professionals, trainers and students. 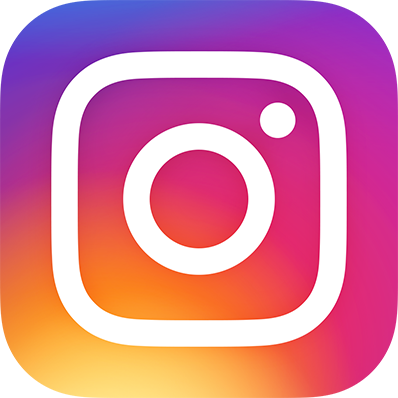 Our aim is to make professionals and students around the world become passionate and skilled in Autodesk AutoCAD and other CAD products. Our Click-a-tool concept focuses on demonstrating how each tool works when you click on it. We strenuously examine each tool from YOUR perspective – you, the user, is our driving motivation that fuels our passion for what we do. 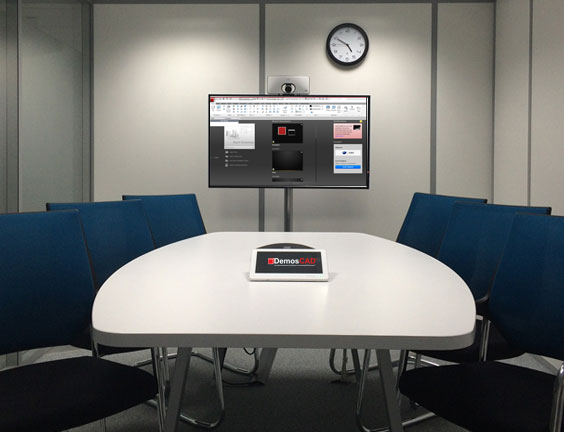 How the tool serves you drives our focus in demonstrating how it works. DemosCAD is a skills-based application built around Autodesk AutoCAD software to equip potential and current users of the software with skills that let them realize their design ideas. Similar Interface to that of AutoCAD making it easy to replicate a design from the demonstration. When you click on any command tool in DemosCAD, it instantly demonstrates how to carry out a task with that tool in Autodesk AutoCAD software. Each of the tools in DemosCAD contains a project file that is linked to Autodesk AutoCAD software so that users may try out similar tasks with AutoCAD software. 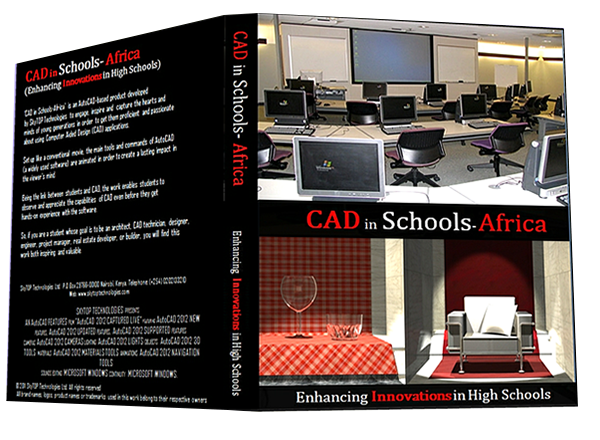 CiSA (CAD in Schools-Africa) is an awareness program initiated by SkyTOP Technologies Ltd. to inspire and capture the hearts and minds of the young generation in order to make them proficient in and passionate about using CAD products. 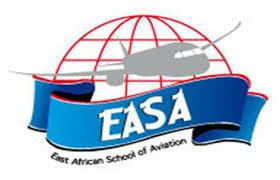 The program targets those who aspire to become architects, designers, engineers, builders, etc. Holding discussions with policy-makers and stake-holders. Engaging and interacting with School Managers and Principals. Engaging with teachers, students and parents through their respective organizations. The CiSA program also includes the CiSA software. Where to get Autodesk AutoCAD & other Autodesk Solutions.